Hi! My name is Michele Iannuzzi Sucich. I’m a physician by training. I received my BS in Biology from Siena College and obtained my MD degree from SUNY Health Science Center in Syracuse. 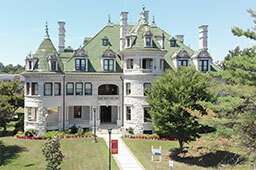 I completed a residency in Family Practice through Virtua Health System in southern New Jersey and a fellowship in Geriatrics at the University of Connecticut. I completed research on both falls in the elderly and sarcopenia (loss of muscle mass with age), as well as innovative use of technology in medical education. In 2003 I chose to move back to the Hudson Valley where I grew up. For four years I worked in a private family practice office taking care of patients. The aspect of my career that I have found the most rewarding is education. I have always enjoyed sharing my understanding of science and medicine with civic groups, patients in my office, students in health professions and fellow residents-in-training. In 2007 I was very pleased to join the Biology department as an instructor of Anatomy and Physiology. My goal at SUNY Orange is to work with students to help them gain a greater understanding and appreciation of human anatomy and physiology as well as to spark within them a desire for life-long learning.